One of the most beautiful, moving books I've ever read – certainly my favourite travelogue, and a genre-transcending treasure. Elliot chronicles his experiences in Afghanistan with great humour and keen sensitivity. Part travelogue, part historical evocation, part personal quest, and part reflection on the joys and perils of passage, this acclaimed synthesis of description and insight remains as relevant today as when it first appeared. 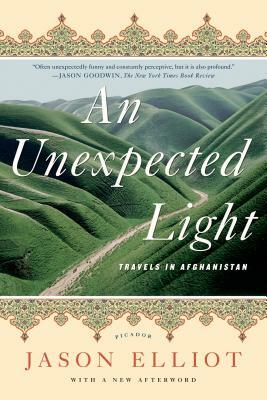 Jason Elliot's An Unexpected Light is a remarkable, poignant book about Afghanistan and a heartfelt reflection on the experience of travel itself. Jason Elliot is the author of An Unexpected Light: Travels in Afghanistan, which was a New York Times bestseller. He lives in London.